Hare Krishna Couples' Retreat! 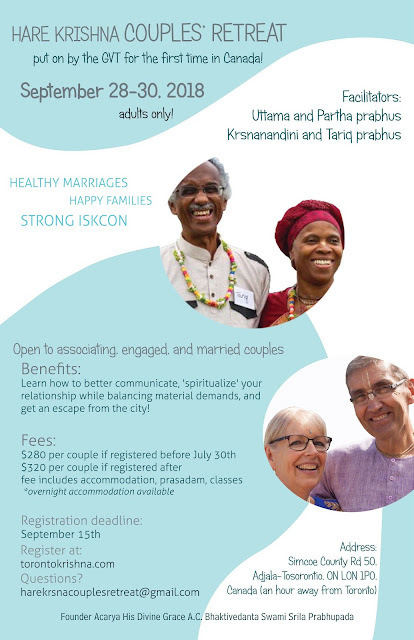 **Registration Extended** ~ The Toronto Hare Krishna Temple! 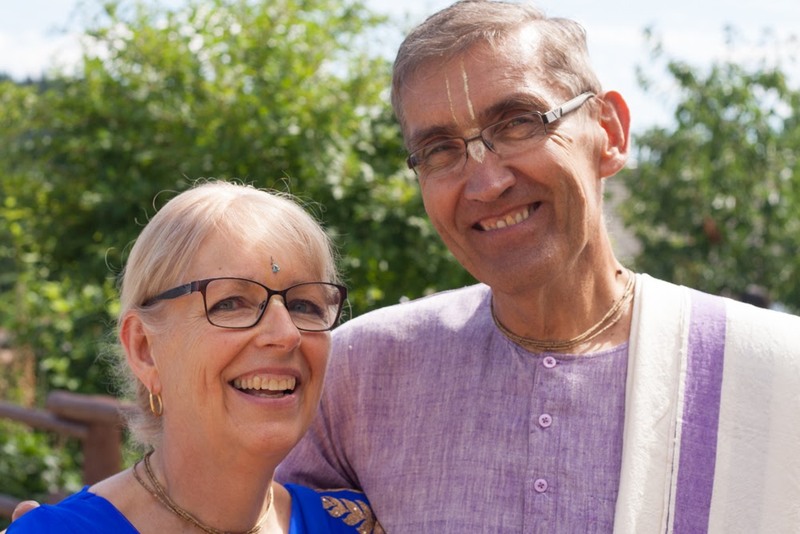 We would like to warmly invite all the associating, engaged, and married couples to the Hare Krishna Couples' Retreat which will be happening from 28 September - 30 September, 2018, just an hour outside of Toronto. The retreat is put on by the Grihastha Vision Team (GVT) for the first time in Canada! The facilitators - Uttama and Partha prabhus, Krsnanandini and Tariq prabhus (http://vaisnavafamilyresources.org/grihastha-vision-team-members/) are highly expertise in strengthening, educating and enlivening family relationships. Throughout the retreat you can learn how to better communicate, 'spiritualize' your relationship while balancing material demands, and get an escape from the city! To sign up for this wonderful retreat please click here. 1.) Donate button on the sidebar. Please include "Couple Retreat" in the memo. 2.) EMT transfer at donate@torontokrishna.com. Please use the password "couples2018" to ensure your payment is accepted. Can transportation be arranged from Toronto, for those of us who don't have a car?